Move termed a deliberate message of hostility toward Christians. ISTANBUL (Morning Star News) – An Iranian pastor freed from prison in September after nearly three years of detainment was re-arrested on Christmas Day in a move that human rights groups consider intentional harassment for rejecting Islam. Youcef Nadarkhani, 35, had faced the death penalty for alleged “apostasy,” or leaving Islam, but in September a judge reduced the charge to evangelism and sentenced him to three years of prison, according to Present Truth Ministries (PTM). As he had already languished for two years and 11 months in Lakan Prison in Rasht, 243 kilometers (151 miles) northwest of Tehran, he was released on Sept. 8 and “bail was set for the security of someone’s paycheck,” according to PTM’s website. On Christmas Day he was ordered to serve the remaining 45 days of his three-year prison sentence for evangelizing. Those close to the case and Nadarkhani’s family said the re-arrest may also have served as a direct message for the pastor to leave the Islamic Republic, according to Jason DeMars of PTM. Under the new sentencing, Nadarkhani would be released on Feb. 8. Rights groups say his incarceration is baseless, and they hope to apply enough international pressure on Iran to have Nadarkhani freed as soon as possible. State officials arrested him on Christmas Day to send a deliberate message against Christians in Iran, Jay Sekulow of the American Center for Law and Justice reportedly said. Nadarkhani’s original arrest resulted from arguing against the Islamic curriculum of his children’s school. He eventually faced the death penalty for apostasy, but charges against him were reduced after an international outcry from religious and human rights groups. A court had determined in September 2011 that he had never practiced Islam, but that he was guilty of apostasy anyway because his ancestors were Muslims. 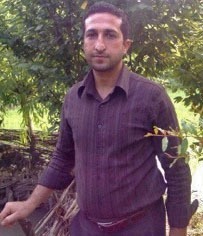 The Iranian state has also targeted those that have offered legal assistance to Nadarkhani. 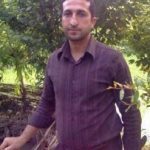 His lawyer, Mohammad Ali Dadkhah, was imprisoned in September for taking Nadarkhani’s case, in addition to other human rights cases. He has been disbarred for 10 years and is facing a prison sentence of nine years, according to Sekulow. Dadkhah is in Evin Prison in Tehran, notorious for its brutal conditions and detainment of political prisoners. As a pastor of the Church of Iran, which some Christian groups and Iranian churches consider non-Trinitarian, Nadarkhani is a controversial figure among Iranian Christians. Thy accuse him of being a modalist, a theological position asserting the Father, Son, and Holy Spirit are merely aspects of one God, contrary to traditional orthodox belief. DeMars, however, said his theology has been unfairly characterized. Nadarkhani believes in the Trinity, but prefers the terminology of God existing in three modes instead of three persons, which he said is a distinction without a difference and in line with historical Christianity. “I can speak with certainty about their beliefs, because I was previously and I’m still in contact with many people in the Church of Iran and those close to the family of [Nadarkhani],” De Mars told Morning Star News. The Revolutionary Court issued Nadarkhani’s first sentence in 2009 on charges of “actions against national security,” which are common charges issued against Iranian converts to Christianity and political prisoners in general. Article 287 of Iran’s Penal Code designates the death penalty for such charges. The arrest comes amid a crackdown on Iranian congregations in general and pastors specifically. In September, officials arrested Saeed Abedini, a 32-year-old U.S. -Iranian dual citizen, while he was visiting his family and doing humanitarian work. He is being held at Evin Prison. Pastor Behnam Irani, 41, has languished in Ghezal Hesar prison, 20 kilometers (12 miles) from Tehran, for over a year on similar trumped-up charges of actions against the Islamic state. He was ordered to serve a five-year sentence. Sources report he is in critical condition and has intentionally been denied medical treatment so that he would die.